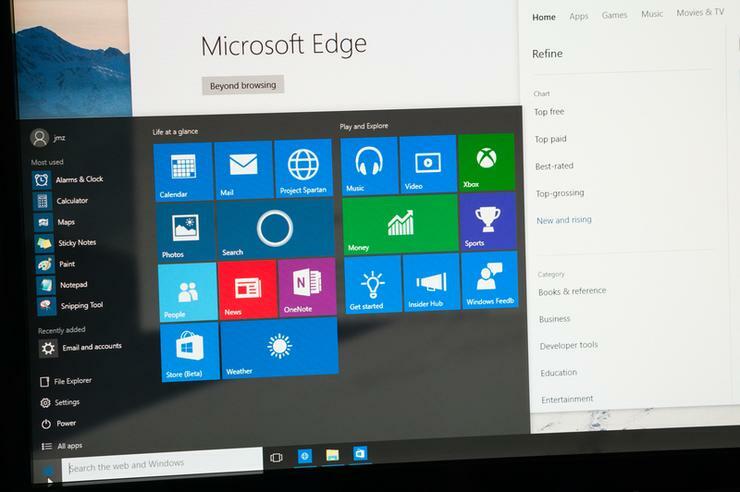 When Windows 10 came out in July 2015, many enterprises said they’d adopt it in 18-24 months. That would be right about now. “In the first four months, we rolled out Windows 10 to about half of our estate,” Mike Brett, the General Manager for ICT Infrastructure at DHS, told CIO. In fact, some users upgraded themselves, because Windows 10 significantly reduced their logon time (it had been a slow two minutes). One reason the pilots and deployments are going so smoothly is that, in many cases, enterprises are rolling out Windows 10 as if it were Windows 7, Kleynhans said. Instead they’re using the pilots and early deployments to gain familiarity with the new OS, starting with an experimental pilot in one division (or even one country) that then expands across the organisation. “They're turning on maybe one or two new features but they're not really rushing forward with all the new enterprise features,” he said. The features enterprises do adopt are the security enhancements in Windows 10. “They’re really intrigued by the new security capabilities; they're looking forward to those. That's one of the things driving Windows 10 adoption,” Kleynhans added. Dewar agreed that security is driving the fast pace of adoption. And enterprises are looking forward to more security features in the upcoming Creators Update (scheduled for release on April 11), Dewar said, including support for Windows Hello. Originally, Hello only worked with Microsoft accounts and Azure Active Directory, but with the Creators Update you can use it with your on-premises Active Directory. There has also been a lot of interest in Microsoft’s post-breach security analysis service Windows Defender Advance Threat Protection, which will get some improvements in the Creators Update. Dewar said over 1,000 organisations have piloted it and moved on to active deployment, even though it only became available in September 2016 and required the then-new Anniversary Update. Windows ATP will also be connected to the Office Graph, so if it finds a threat that came in by email that malicious file will automatically be blocked across the organisation. Security is such a concern, in fact, that it’s upset typical enterprise IT habits. “What we’ve always seen before in OS adoptions is two kinds of customers: there's those that move quickly and there's those that are usually slower and wait for what they consider to be production ready,” Dewar added. An organisation like professional services company Accenture that wants to give its “highly empowered information workers" the latest tools and capabilities would always have been a fast mover. They have more than 150,000 Windows 10 devices deployed, which Dewar suggested is the largest single deployment so far. But they’re not as far ahead as they would once have been.